It is indisputable that Android devices hold the largest share of the pie, as far as online threats are concerned. This acknowledgement is backed up by a lot of recent reports. However, being left idle is not the right way for an iOS user to go. Although Apple devices have been proven more reliable and less prone to confront with online malware over time, there is no reason why you should not eliminate even the slightest chance of getting compromised and having your personal data hacked or worse. All Internet users should be well aware of the progress that is being made on a daily basis on behalf of hackers and other hostile intruders of the cyberspace. So, preparing is the perfect method for being kept safe online. This has urged us to go ahead with gathering the very best iOS security software apps available within your reach, aiming at protecting your Apple devices. Let’s get started with navigating through these apps as soon as possible, shall we? 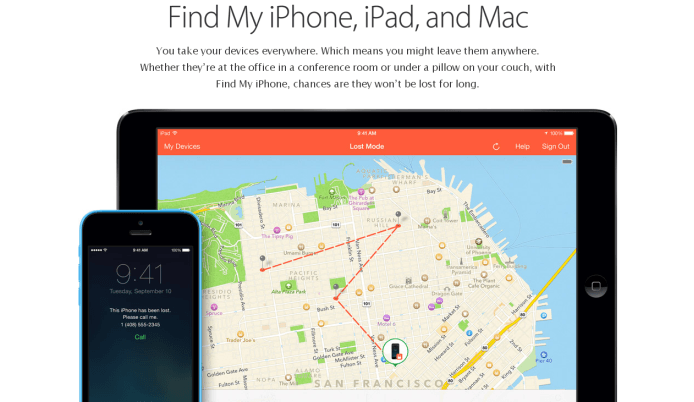 Find My iPhone: This is a truly cool app, which allows you to have full control of your Apple device, regardless of your physical location. Once you have realized that your device is missing, you can lock its screen and type a password, as well as display your personal contact information with the use of Find My iPhone. In this way, if somebody wishes to contact you upon having come across your Apple device, you will have no trouble doing so. You can also track down your iOS running device through this app. 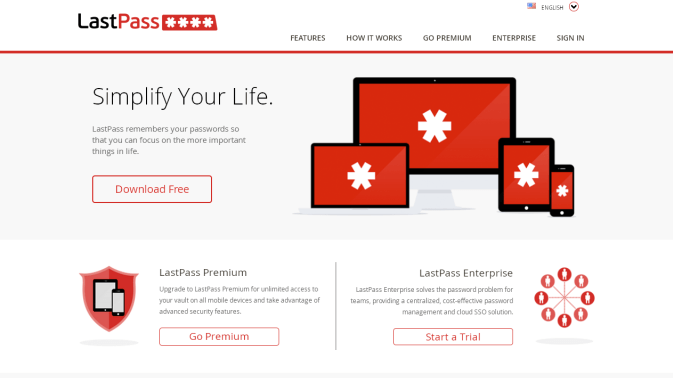 LastPass: If you are having trouble remembering all your passwords, you will feel delighted about LastPass. This is an app that allows you to fully access your data remotely and keep all your passwords securely locked somewhere safe. There is a free and a premium version of this app, with superb technical support and practical usage on the go. GadgetTrak: This is another app seeking to protect your iPhone or other iOS based device from getting lost or placed in the wrong hands. With GadgetTrak, you can locate your device and even get a snap shot of whoever has got your precious little gadget on him. Of course, locking the device is also a great bonus! 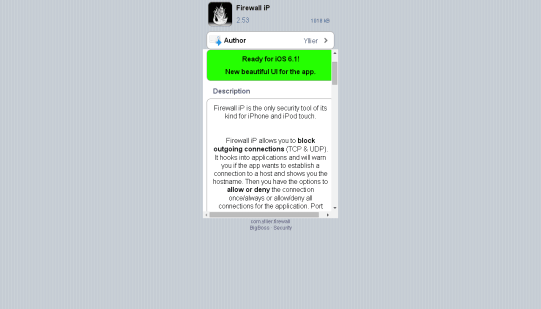 Firewall IP: Especially designed for iOS running devices, Firewall IP will help you block outgoing connections and inform you of any suspicious actions being held by your device. It is up to you to decide whether or not the device of yours is going to send data and therefore you do not need to worry about unauthorized data transfer, which could otherwise lead to severe problems of privacy. Lookout: We go ahead with the best Apple device security apps and this is where we find Lookout. Besides the tracking features that this app has, you will be also pleased to know that there is the option of identifying which apps track your location and revealing personal information, so as to avoid downloading them in the first place. 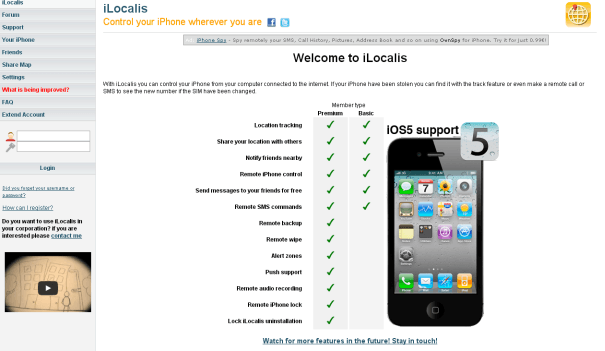 iLocalis: For fully controlling your iOS device from your computer, iLocalis is a great app. Apart from the location tracking that it provides, it also allows you to share this location with the friends of yours nearby and go ahead with remote backup and wipe. Both the basic and the premium versions are available for you online and so it is up to you to check through the features that you are interested in. 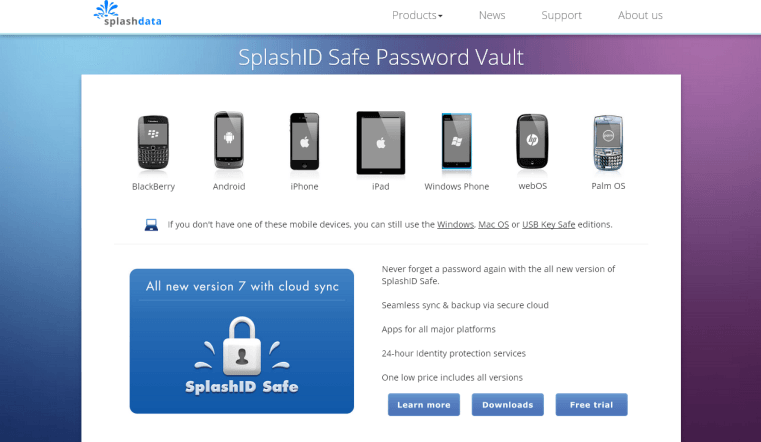 SplashID Safe for iPhone: SplashID Safe is indeed a password vault, in avoidance of forgetting and always replacing your passwords. There is a secure cloud for seamless sync and backup offered via this app, as well as 24 hour identity protection services for you to benefit from. All versions are available within an affordable price. 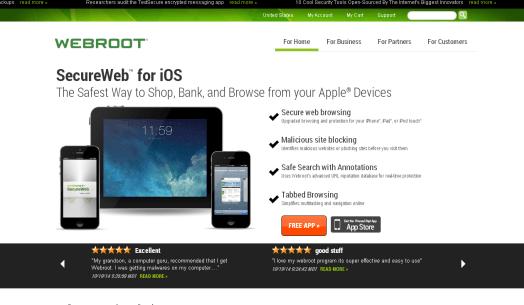 Webroot SecureWeb for iOS: If you are looking for the safest way to browse through your Apple devices, Webroot will certainly do the trick for you. It is a free app that will block all malicious websites and enable tabbed browsing. Whether you are most interested in financial or banking transactions or you are searching for real time protection, Webroot will meet your needs. 1 Password Pro for iOS: Instead of forgetting your passwords and being forced to re-use the very same line for all your accounts, you can choose to use 1Password Pro. It supports Touch ID authentication, which makes it a great app for your sensitive data. 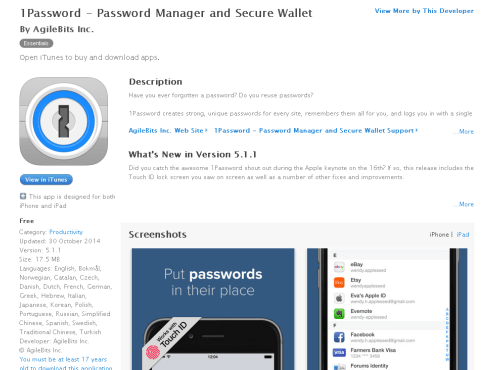 Both iPhone and iPad users will have the chance to benefit from the features of this cool app. 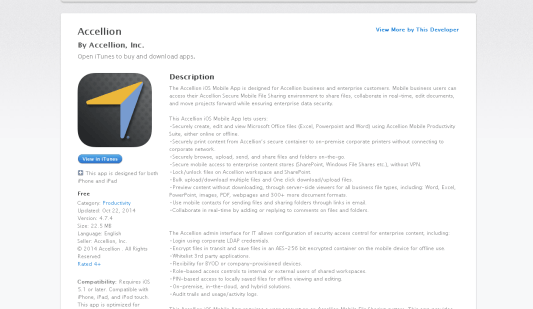 Accellion: Last but definitely not least, Accellion offers a wonderful app for business and enterprise users running iOS. If you are up for securing all the files that you share with others via your Apple device, Accellion provides exquisite features. Encryption is enabled and you get to download multiple files at the same time for your convenience. The best management of your iOS files on the go! Apple mobile security apps of unique reliability and versatility can provide you with the protection that you need, no matter where you are located at a time. Be sure to try these apps out and let us know what you think of them; in addition, we are always open to suggestions and thus you can share with us your experiences with other great (or not that great!) software apps for iOS running devices!